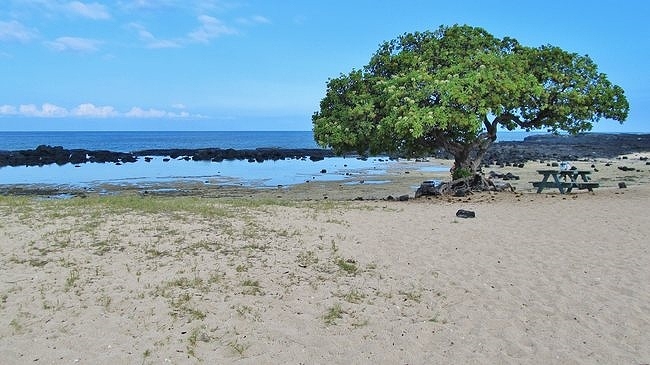 Wawaloli Beach is one of the more kid-friendly Kona beaches. With a superb sand-lined tide pool that is protected from the open ocean, it’s a perfect place for kids to frolic and deep enough for adults to cool off. 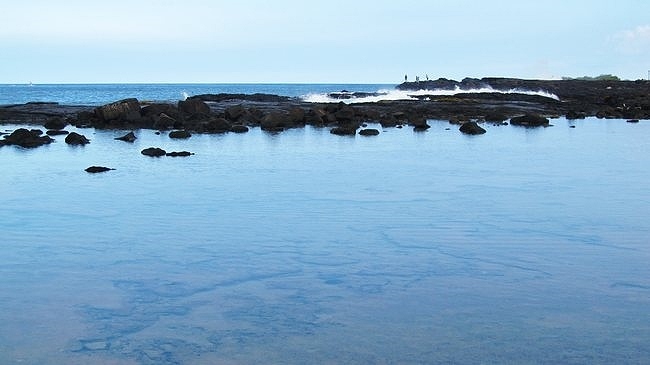 Protected from the surf by a natural lava barrier, the water in the tide pool is delightfully placid. At high tide, the large pool in the center fills sufficiently to soak in. At lower tide, the smaller pool is better. The water in the tide-pools is of course much warmer than the ocean as it gets heated by the sun and the surrounding rocks. This is a fabulous place to explore, lounge in the tide pool, or simply soak up the sun in the soft sand. Bring a beach chair and an umbrella and relax on the large sandy beach above the shoreline. Bring a picnic and spread out on one of the picnic tables, or barbecue on one of the grills while watching the kids play in the shallow water. This is one of those Big Island beaches that you’ll want to keep coming back to. 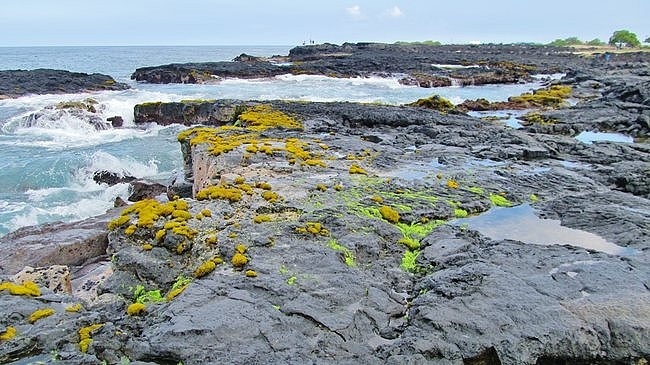 We are constantly amazed by the many interesting rock formations, colorful mosses and algae as we walk along the shore. We love to explore the vast pools that small fishes and hermit crabs call home. We often see people fishing from the cliffs along either end of the park. It’s exciting to watch as waves crash against the lava shoreline, but be sure to keep your distance when the tide is high or the surf is up! Waves have a way of surprising people that wander too close to the edge of the rocks. Enjoy gazing out at the expansive, unobstructed views of the open ocean, and by all means stick around for a magnificent sunset! 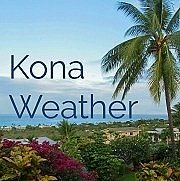 Wawaloli is six miles north of Kona. It’s just beyond the runway for the Kona airport, so you might see a plane or two taking off overhead. Turn in near mile marker 94 at the Natural Energy Lab on Highway 19. Follow the paved road until it turns to the right. The beach and tide pool area are just a few feet beyond where you park your car, so bring a cooler and plenty of toys because you won’t have far to walk.